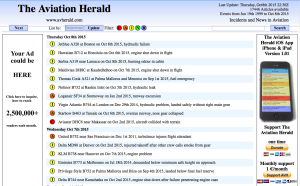 AVHERALD is without doubt one of the best independent aviation safety information services currently available on the internet. For me personally it is by far “the best”, but this is just my personal opinion as an aviation safety editor and analyst. Founded and run by Simon Hradecky from Salzburg/Austria in 2008 it has since become a valuable and solid source for anything the happens “out of the normal” in commercial aviation. Following good old principles all information is verified by two independent sources before it get published on the webpage. It depends partially on information from sources within the industry, reports from passengers and eye-witnesses of occurrences. 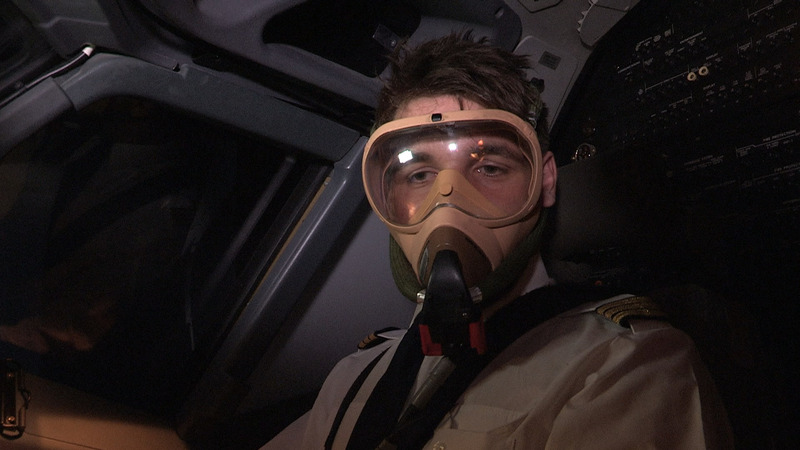 Hated and sometimes even condemned by many pr-officers of major airlines, who seem to be very unhappy when the AVHERALD “knocks” at their desks and asks for confirmation of an incident that just occurred with one of their aircraft, Simon has gained the outmost respect of the aviation community. – Especially those who do not want to “hide certain things and glitches under the rug” and still believe and continue to be convinced that “share your experience” is what made and keeps our todays aviation safe. And his work is not done with a single report. Sometimes, – and again mainly by the so called communication departments within major airlines, Simon is called a “pain in the neck” as he keeps on following an occurrence, which also includes official reports and findings by the official investigation authorities once they become available. 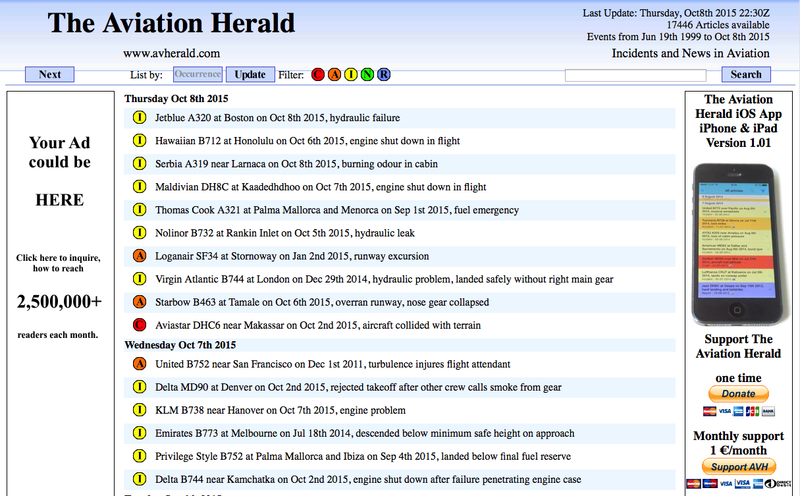 Just search a flight no, an airline or a specific aircraft type or registration on the AVHERALD’s database and within second the results will pop up. It has been a special privilege for everybody involved in our documentary production and myself that Simon Hradecky was part of our main research team and contributed very valuable insights and information as well as the necessary crosschecks of information that were provided to us anonymously. Note: So far there is no international requirement to report such events, nor that they need to be investigated. Therefore the incidents listed here have to be considered only “the tip of the iceberg”. Also: not all events listed here are necessarily related to fumes from the engines. But apparently airlines and regulators have become quite “creative” in their wordings about “fume events” and how they become categorized.